InventoryLab offers innovative solutions to businesses looking for an edge in an unprecedentedly competitive marketplace. 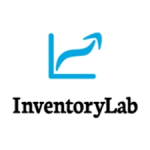 InventoryLab has two flagship products, Stratify and Scoutify. Both are effective solutions with definitive purposes. Stratify is a system to simplify research. Businesses can learn about existing products, manage inventory and track expenses. The tool also helps with profitability analysis. Scoutify is an app that simplifies sourcing inventory to enhance profitability. InventoryLab has two solutions that cover most of the problems faced by ecommerce companies today. Whether it is a standalone and independent store or a store on Amazon among other global marketplaces, the apps can be game changers for sellers around the world.